The Altare della Patria in Rome. The origins of Italian nationalism have been traced to the Renaissance where Italy led a European revival of classical Greco-Roman style of culture, philosophy, and art. The Renaissance-era diplomat and political theorist Niccolò Machiavelli, in his work The Prince (1532), appealing to Italian patriotism urged Italians "to seize Italy and free her from the Barbarians", by which he referred to the foreign powers occupying the Italian peninsula. When France started to annex Corsica in the 18th century (and then incorporated during Napoleon's empire the regions of Piemonte, Liguria, Toscana and Lazio), the first movements to defend Italy's existence aroused with Paoli revolt and were later followed by the birth of the so-called "irredentism". 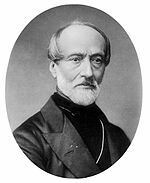 The initial important figure in the development of Italian nationalism was Giuseppe Mazzini, who became a nationalist in the 1820s. In his political career, Mazzini held as objectives the liberation of Italy from the Austrian occupation, indirect control by Austria, princely despotism, aristocratic privilege, and clerical authority. Mazzini was captivated by ancient Rome that he considered the "temple of humanity" and sought to establish a united Italy as a "Third Rome" that emphasized Roman spiritual values that Italian nationalists claimed were preserved by the Catholic Church. Mazzini and Italian nationalists in general promoted the concept of Romanità (the Romanness), which claimed that Roman culture made invaluable contributions to the Italian and Western civilization. Since the 1820s, Mazzini supported a revolution to create a utopia of an ideal Italian republic based in Rome. Mazzini formed revolutionary patriotic Young Italy society in 1832. Upon Young Italy breaking apart in the 1830s, Mazzini reconstituted it in 1839 with the intention to gain the support of workers' groups. However, at the time Mazzini was hostile to socialism due to his belief that all classes needed to be united in the cause of creating a united Italy rather than divided against each other. Giuseppe Garibaldi, the prominent Italian nationalist leader during the Risorgimento. Vincenzo Gioberti in 1843 in his book On the Civil and Moral Primacy of the Italians, advocated a federal state of Italy led by the Pope. Camillo Benso, the future Prime Minister of the Kingdom of Sardinia and afterwards the Kingdom of Italy, worked as an editor for the nationalist Italian newspaper Il Risorgimento in the 1840s. Cavour was a clear example of civic nationalism with a high consideration for values including freedom, tolerance, equality, and individual rights compatible with a sober nationalism. Economic nationalism influenced businessmen and government authorities to promote a united Italy. Prior to unification, tariff walls held between the Italian states and the disorganized railway system prevented economic development of the peninsula. Prior to the revolutions of 1848, Carlo Cattaneo advocated an economic federation of Italy. Daniele Manin, founder of the Italian National Society. Supporters of Italian nationalism ranged from across the political spectrum: it appealed to both conservatives and liberals. The Revolutions of 1848 resulted in a major development of the Italian nationalist movement. Liberalization of press laws in Piedmont allowed nationalist activity to flourish. Following the Revolutions of 1848 and the liberalization of press laws, the Italian nationalist organization, called the Italian National Society, was created in 1857 by Daniele Manin and Giorgio Pallevicino. The National Society was created to promote and spread nationalism to political moderates in Piedmont and raised money, held public meetings, and produced newspapers. The National Society helped to establish a base for Italian nationalism amongst the educated middle class. By 1860, the National Society influenced dominant liberal circles in Italy and won over middle class support for the union of Piedmont and Lombardy. The statesman Daniele Manin seems to have believed in Italian unification years before Camillo Benso of Cavour, who actually unified the country with Giuseppe Garibaldi through diplomatic and military actions. During the 1856 Congress of Paris, Manin talked with Cavour about several plans and strategies to achieve the unification of Italy; Cavour clearly considered those plans vain things, and after the meeting wrote that Manin had talked about "l'unità d'Italia ed altre corbellerie" ("the unity of Italy and other nonsense"). The Risorgimento was an ideological movement that helped incite the feelings of brotherhood and nationalism in the imagined Italian community, which called for the unification of Italy and the pushing out of foreign powers. Literature, music, and other outlets of expression frequently alluded back to the glorious past of Rome and the miraculous feats their ancestors had accomplished in defending their homeland and kicking out the foreign occupants. After the unification of Italy was completed in 1870, the Italian government faced domestic political paralysis and internal tensions, resulting in it resorting to embarking on a colonial policy to divert the Italian public's attention from internal issues. In these years, one of the most prominent political figures was Francesco Crispi, whose actions as prime minister were characterised by a nationalism that often appeared as a form of obsession for the national unity and defence from hostile foreign countries. Italy managed to colonize the East African coast of Eritrea and Somalia, but failed to conquer Ethiopia with 15,000 Italians dying in the war and being forced to retreat. Then, Italy waged war with the Ottoman Empire from 1911 to 1912 and gained Libya and the Dodecanese Islands from Turkey. However, these attempts to gain popular support from the public failed, and rebellions and violent protests became so intense that many observers believed that the young Kingdom of Italy would not survive. Tired of the internal conflicts in Italy, a movement of bourgeois intellectuals led by Gabriele d'Annunzio, Gaetano Mosca, and Vilfredo Pareto declared war on the parliamentary system, and their position gained respect among Italians. D'Annunzio called upon young Italians to seek fulfillment in violent action and put an end to the politically maneuvering parliamentary government. The Italian Nationalist Association (ANI) was founded in Florence in 1910 by the jingoist nationalist Enrico Corradini who emphasized the need for martial heroism, of total sacrifice of individualism and equality to one's nation, the need of discipline and obedience in society, the grandeur and power of ancient Rome, and the need for people to live dangerously. Corradini's ANI's extremist appeals were enthusiastically supported by many Italians. At the outbreak of World War I in 1914, Italy initially maintained neutrality, despite its official alliance with Germany and Austria-Hungary since 1882 on the grounds that Germany and Austria-Hungary were waging an aggressive war that it refused to take part in. In 1915, Italy eventually decided to enter the war on the British and French side against Austria-Hungary and Germany. Nationalist pride soared in Italy after the end of hostilities in November 1918, with the victory of Italy and Allied forces over Austria-Hungary and the seizure by Italy of former Austro-Hungarian territories. Italian nationalism became a major force at both elite and popular levels until 1945, when popular democracy became a much more important force. Freemasonry was an influential semi-secret force in Italian politics with a strong presence among professionals and the middle class across Italy, as well as among the leadership in parliament, public administration, and the army. The two main organisation were the Grand Orient and the Grand Lodge of Italy. They had 25,000 members in 500 or more lodges. Freemasons took on the challenge of mobilizing the press, public opinion. and the leading political parties in support of Italy’s joining the Allies. traditionally, Italian nationalism focused on unification, and undermining the power of the Catholic Church. In 1914-15 they dropped the traditional pacifistic rhetoric and used instead the powerful language of Italian nationalism. Freemasonry had always promoted cosmopolitan universal values, and by 1917 onwards they demanded a League of Nations to promote a new post-war universal order based upon the peaceful coexistence of independent and democratic nations. Italy's demands in the Paris peace settlement of 1919 were not fully achieved: Italy did attain Trentino, Trieste, the Istrian peninsula, and South Tyrol from Austria-Hungary, though other territories previously promised to Italy were not given to it. In particular, Italian nationalists were enraged by the Allies denying Italy the right to annex Fiume, that had a slight majority Italian population but was not included in Italy's demands agreed with the Allies in 1915, and a larger part of Dalmatia which had a vast majority Slavic population and an Italian minority, claiming that Italian annexation of large part of Dalmatia would violate Woodrow Wilson's Fourteen Points. D'Annunzio responded to this by mobilizing two thousand veterans of the war who seized Fiume by force; this action was met with international condemnation of d'Annunzio's actions but was supported by a majority of Italians. Though d'Annunzio's government in Fiume was forced from power, Italy annexed Fiume a few years later. 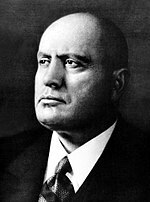 The seizure of power by the Italian Fascist leader Benito Mussolini as Prime Minister of Italy in 1922 and his development of a fascist totalitarian state in Italy involved appeal to Italian nationalism, advocating a Roman-like Italian Empire in the Mediterranean Sea. Mussolini sought to build closer relations with Germany and the United Kingdom while showing hostility towards France and Yugoslavia. After the fall of Fascism and following the birth of the Republic, the interest in Italian nationalism by scholars, politicians and the masses was relatively low, mainly because of its close relation with Fascism and consequently with bad memories of World War II. The only notable and active political party who clearly declared Italian nationalism as its main ideology was the neo-fascist Italian Social Movement (MSI), which became the fourth largest party in Italy by the early 1960s. In these years, Italian nationalism was considered an ideology linked to right-wing political parties and organisations. Nevertheless, two significant events seemed to revitalise Italian nationalism among Italians, the first one in 1953 with the Question of Trieste when the claim of Italy on the full control of the city of Trieste was largely endorsed by most of the Italian society with patriotic demonstrations, and the second one in 1985 during the Sigonella crisis between Italy and the United States. Palazzo Vecchio in Florence during the celebrations of the 150th Anniversary of Italian Unification. In the 2000s, Italian nationalism seemed to gain a moderate support by the society, in particular during important days such as the National Day Festa della Repubblica (Republic day) and the Anniversary of the Liberation. The President of the Republic Carlo Azeglio Ciampi has often praised patriotism among Italians by mentioning in his speeches national events, including the Risorgimento or the Resistenza, and national symbols like the Flag of Italy and the National Anthem, although he seems to want to stress self-confidence rather than plain nationalism. In 2011, the 150th Anniversary of Italian Unification showed a moderately renewed interest in Italian nationalism among the society. Nationalist ideologies are often present during Italian anti-globalisation protests. Today, Italian nationalism is still mainly supported by right-wing political parties like Brothers of Italy and minor far-right political parties like The Right, CasaPound, Forza Nuova and Tricolour Flame. Nonetheless, in recent times Italian nationalism has been occasionally embraced as a form of banal nationalism by liberal parties like Forza Italia, centrist parties like the Union of the Centre or even by centre-left parties like the Democratic Party. Italian nationalism has also faced a great deal of opposition from within Italy itself. Regionalism and municipal identities have challenged the concept of a unified Italian identity, like those in Friuli-Venezia Giulia, Naples, Sardinia, Sicily and Veneto. Such regional identities evoked strong opposition after the Piedmontese-led unification of Italy to plans for "Piedmontization" of Italy. Italian identity has also been long strained by an ever growing North-South divide that developed partly from the economic differences of a highly industrialized North and a highly agricultural South. Civil flag of Italy, originally designed in 1797. A symbol of the Italian nation since the early-19th century and symbol of the Italian Republic since 1946. Civil flag of the Kingdom of Italy from 1861 to 1946. Presently used by Italian monarchists. War flag of the Italian Social Republic, the incarnation of Fascist Italy from 1943 to 1945 after the Fascist regime in the Kingdom of Italy was dismantled in 1943. It is a prominent symbol used by Italian neo-fascists. ^ a b c Aaron Gillette. Racial theories in fascist Italy. 2nd edition. London, England, UK; New York, New York, USA: Routledge, 2003. Pp. 17. ^ a b Trafford R. Cole. Italian Genealogical Records: How to Use Italian Civil, Ecclesiastical & Other Records in Family History Research. Salt Lake City, Utah, USA: Ancestry Incorporated, 1995. Pp. 15. ^ J. P. T. Bury, ed. The new Cambridge modern history: The zenith of European power 1830–70 1964. Pp. 224. ^ Mikael Hörnqvist. Machiavelli and Empire. Cambridge, England, UK: Cambridge University Press, 2004. Pp. 259. ^ a b Vincent P. Pecora. Nations and identities: classic readings. Oxford, England, UK; Malden, Massachusetts, USA: Blackwell Publishers, Inc, 2001. Pp. 156. ^ a b c John Gooch. The Unification of Italy. Taylor & Francis e-library, 2001. Pp. 5. ^ a b c John Gooch. The Unification of Italy. Taylor & Francis e-library, 2001. Pp. 6. ^ Jonathan Sperber. The European revolutions, 1848-1851. Second Edition. Cambridge, England, UK; New York, New York, USA: Cambridge University Press, 2005. Pp. 97. ^ a b c d e f Lucy Riall. The Italian Risorgimento: State, society and national unification. London, England, UK; New York, New York, USA: Routledge, 1994. Pp. 69. ^ J. P. T. Bury. The new Cambridge modern history: The zenith of European power 1830–70. London, England, UK; New York, New York, USA: Cambridge University Press, 1964. Pp. 226. ^ Lucy Riall. The Italian Risorgimento: State, society and national unification. London, England, UK; New York, New York, USA: Routledge, 1994. Pp. 70. ^ Holt, The Making of Italy: 1815–1870, p. 195. ^ a b c d e f g h i j k Motyl 2001, pp. 248. ^ Massimo Salvadori, "Nationalism in Modern Italy-1915 and after." Orbis-A Journal of World Affairs 10.4 (1967): 1157-1175. ^ a b c d Reynolds Mathewson Salerno. Vital crossroads: Mediterranean origins of the Second World War, 1935-1940. Ithaca, New York, USA: Cornell University Press, 2002. Pp. 4. ^ Reynolds Mathewson Salerno. Vital crossroads: Mediterranean origins of the Second World War, 1935-1940. Ithaca, New York, USA: Cornell University Press, 2002. Pp. 5. ^ Atkins, Stephen E. (2004). "Italian Social Movement (Movimento Sociale Italiano) (MSI) (Italy)". Encyclopedia of modern worldwide extremists and extremist groups. Greenwood Publishing Group. pp. 151–152. ISBN 978-0-313-32485-7. ^ Miklós Sukosd, Karol Jakubovicz (2011). Media, Nationalism and European Identities .1st .Budapest :CEU Press. ^ John A. Agnew (2002). Place and Politics in Modern Italy .1st .Chicago :The University of Chicago Press. ^ Damian Tambini. Nationalism in Italian Politics: The Stories of the Northern League, 1980-2000. London, England, UK; New York, New York, USA: Routledge, 2001. P. 34. Barbour, Stephen and Cathie Carmichael, eds. (2000). Language and Nationalism in Europe (Oxford UP) chapter 8. Cunsolo, Ronald S. "Italian nationalism in historical perspective." History of European Ideas 16.4-6 (1993): 759-766. Cunsolo, Ronald S. Italian nationalism: from its origins to World War II (Krieger Pub Co, 1990). Marsella, Mauro. "Enrico Corradini's Italian nationalism: the ‘right wing’ of the fascist synthesis." Journal of Political Ideologies 9.2 (2004): 203-224. Noether, Emiliana Pasca. Seeds of Italian nationalism, 1700-1815 (Columbia University Press, 1951). Noether, Emiliana P. "The intellectual dimension of italian nationalism: An overview." History of European Ideas 16.4-6 (1993): 779-784. Salvadori, Massimo. "Nationalism in Modern Italy-1915 and after." Orbis-A Journal of World Affairs 10.4 (1967): 1157-1175. Sluga, Glenda A. "The Risiera di San Sabba: Fascism, anti‐Fascism and Italian nationalism." Journal of Modern Italian Studies 1.3 (1996): 401-412. Tambini, Damian. Nationalism in Italian politics: The stories of the Northern League, 1980-2000 (Routledge, 2012).